This year marks 100 years since the end of the First World War. The eleventh hour of the eleventh day of the eleventh month (11am, 11th of November) marks the moment when the armistice that ended the war was signed in 1918. Wearing a red poppy has become an important symbol of Remembrance Day and is worn by millions of people every year to commemorate the day. This is due to Canadian physician Lieutenant-Colonel John McRae’s poem “In Flanders Fields“. McRae first wrote the poem in 1915 and it’s usually read out during Remembrance Day Ceremonies to commemorate those who have fallen. This year you can honour those who have fought for our country and continue to serve by attending the North Vancouver Remembrance Day ceremony on Sunday, November 11th. 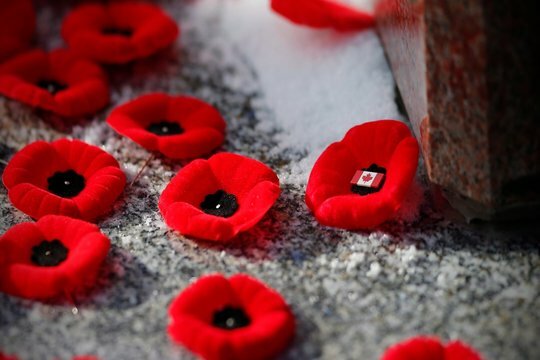 The Remembrance Day parade begins at 9:30am at the JP Fell Armoury and finishes at Victoria Park. 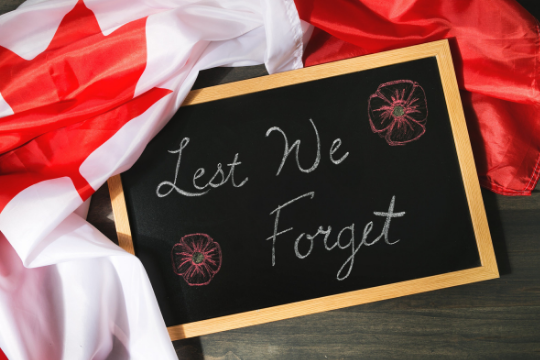 The parade will be followed by the official ceremony at the Victoria Park Cenotaph on Keith Road and Lonsdale Avenue, from 10:30am – 11:30am. There will be some seating for veterans and other dignitaries at the ceremony. The Market will also be holding a minute of silence at 11am, to honour of those who served and continue to serve our country in times of war, conflict and peace. Remember to wear your poppy! The Legion of North Vancouver will be handing out poppies outside of the Market leading up to Remembrance Day.